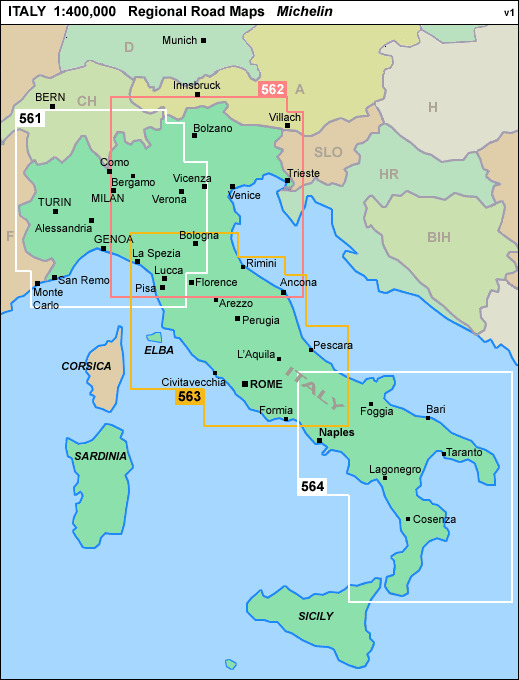 Central Italy at 1:400,000 in a series of indexed touring maps from Michelin. 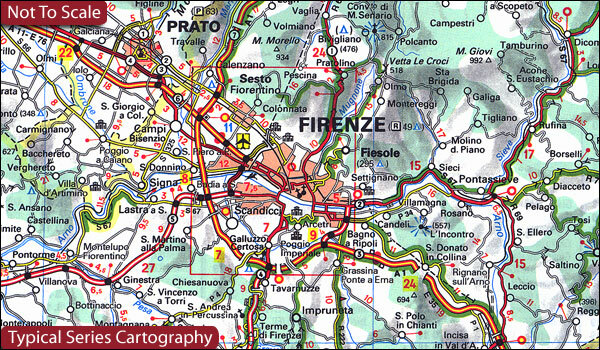 Enlargements show road access to central Rome and Florence, with additional street plans of these two cities, all indicating principal sights and facilities, main traffic routes, one way street, and in Florence the restricted entry zone; all have a short index listing main streets. 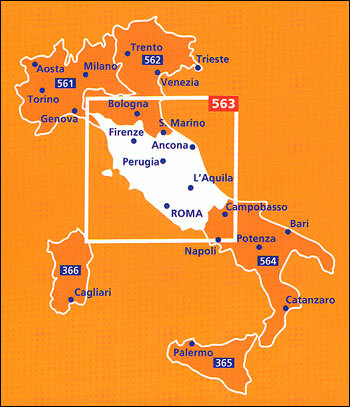 The map also indicates locations with street plans in the publishers’ Red Guide to hotels and restaurants in Italy and includes a distance table.